Who's Really Buying All of Those Wonder Woman Tickets? Wonder Woman is easily one of the biggest financial successes of the summer and could wind up being one of the biggest hits of 2017 when all is said and done. There are a great many reasons for that, not the least of which is that the movie is considered by almost everyone to be the best DCEU movie to date. But another reason, as revealed by a new study, is that Wonder Woman was able to draw in more female moviegoers and older audience members than your average blockbuster. 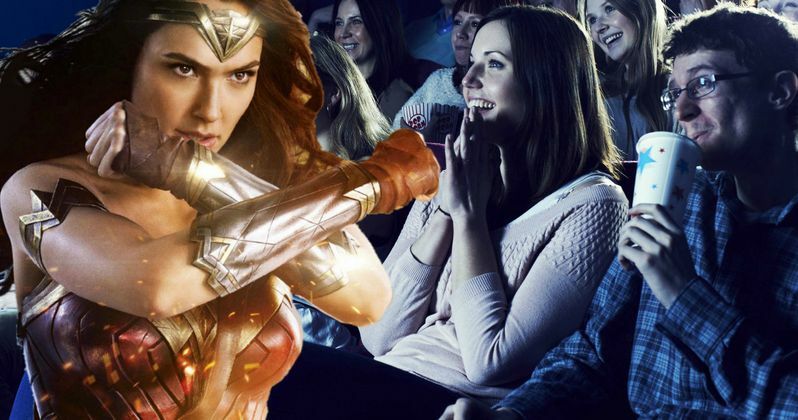 Variety recently published the results of a study that found Wonder Woman had just as many female audience members as male audience members, which doesn't really happen for these types of movies. Even Star Wars: The Force Awakens, a movie with a massive appeal for all kinds of people with a female heroin, only managed to see 44 percent female moviegoers. Here's what Movio's senior VP Matthew Liebmann had to say about it. "Wonder Woman's' audience evolved in a similar manner as most blockbusters but with some trends notably magnified. While the female and 50+ segments of the audience generally grow over the course of the run, Wonder Woman's female audience nearly reached parity with the male audience by the third week." Wonder Woman has an obvious appeal for female audience members, as it is the first female-led superhero movie of the modern era. Not to mention that this is the first time the character has ever been given the big screen treatment. But Matthew Liebmann also pointed out that the 50 and over demographic is just as important. Why? Because that signals that more parents are taking their kids to see Wonder Woman, which means more sales. "That says to me that there was an increase in parents taking their children to see the film. It wasn't just the female audience that made this film a hit." It isn't just that Wonder Woman is a female superhero movie directed by a woman, with Patty Jenkins now holding the distinction of having the highest-grossing movie ever by a female director. But it was also noted in the report that strong word of mouth helped drive Wonder Woman to sustained success. The movie has been out for more than a month and is still sitting in the top five, which is very impressive during the summer movie season. To date, the movie has grossed $720 million worldwide. Its domestic total of $356 million makes it the highest-grossing DCEU movie domestically as well, which is no small feat. This study proves that people will show up to see something if they feel represented. That is, assuming the movie is of a certain quality, and Wonder Woman checks both of those boxes. Hollywood can learn a thing or two from the success of Wonder Woman. Let's just hope that they learn the right lessons and more quality movies with some different types of heroes can make it to theaters in the years to come.